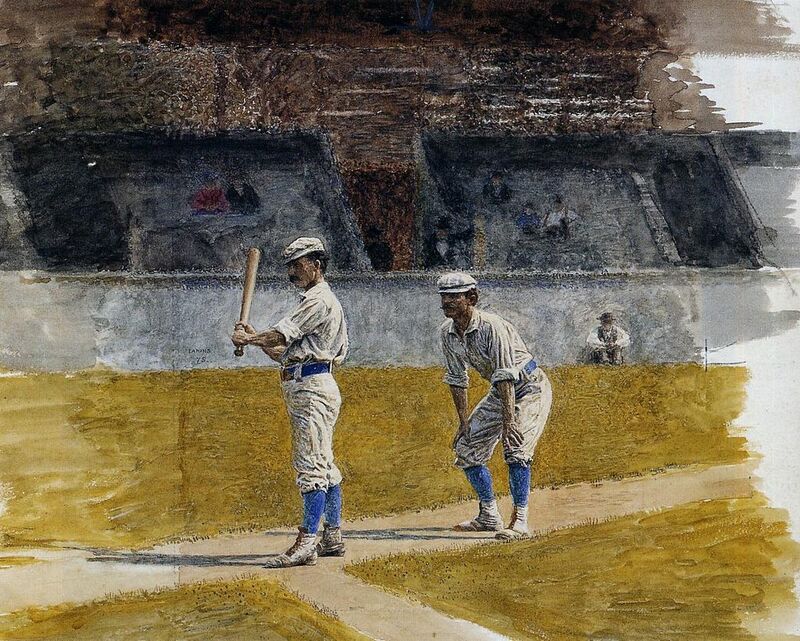 "Baseball Players Practicing, 1875, Thomas Eakins. Courtesy of the Rhode Island School of Design Museum of Art. There are some modern teams who have old-fashioned uniforms. I always wondered why they didn't look more "authentic" until I saw this and realized the new ones are tighter, don't have big belts, and ... most important of all ... the players don't have handlebar mustaches! Yes, the mustaches are essential to the game of baseball. I love the picture. It makes me want to pay a visit to 1875.